Twitter’s decision to ban RT’s advertising is based on a discredited intelligence report and comes just as the public is losing interest in the crumbling Trump-Russia collusion case, experts interviewed by RT believe. 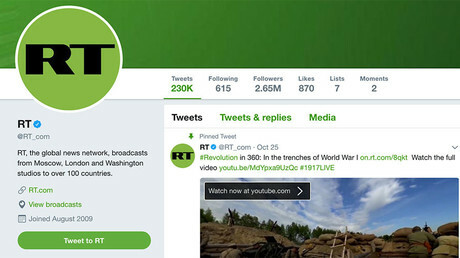 Twitter has banned ads from RT and Sputnik, citing their alleged meddling in the 2016 US election, despite the fact that the company itself approached RT offering to spend millions more on the channel’s promotional campaign. 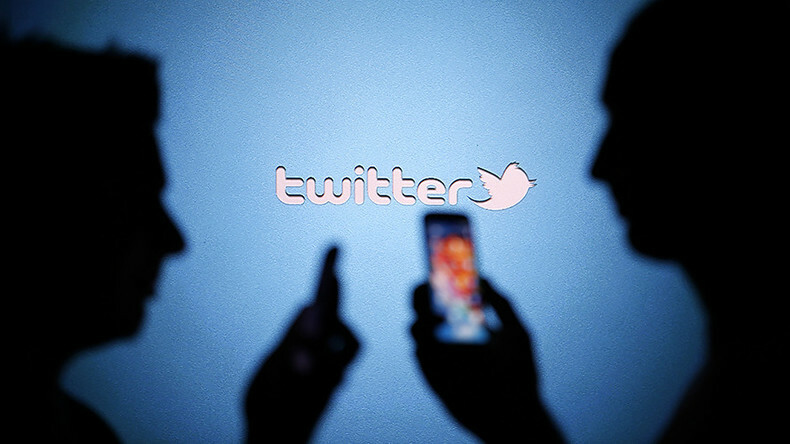 The ban comes just days before Twitter executives and other social media representatives are due to appear before Congress to testify about the alleged Russian interference in last year’s US election. Twitter used the US intelligence community report, which is extremely vague and outdated, to justify their actions. The ODNI report, the unclassified version of which was published in January, devoted seven pages to RT and its alleged influence on the election “by serving as a platform for Kremlin messaging to Russian and international audiences.” No hard evidence has been provided, however. “Twitter has decided to take action based on this old and discredited report just at the time that the so-called Steele dossier, the so-called Russia dossier, that people have been attempting to use to blacken the Trump administration... [it] turns out that the Steele dossier was paid for by Hillary Clinton,” former US diplomat Ted Seay told RT. “And what it says to me is that Twitter knows is that dossier is vanishing into smoke, into thin air, and that the intelligence community report which sort of goes hand-in-hand with that dossier will be useless for them to use in the future so they are using it right now,” Seay explained. Most of the experts RT spoke with also agreed that Twitter was most likely pressured by the American elite into banning RT from advertising. “We know that not only Twitter, but Facebook, Google, Microsoft and other companies have been working closely with the NSA and other agencies on their various surveillance programs. 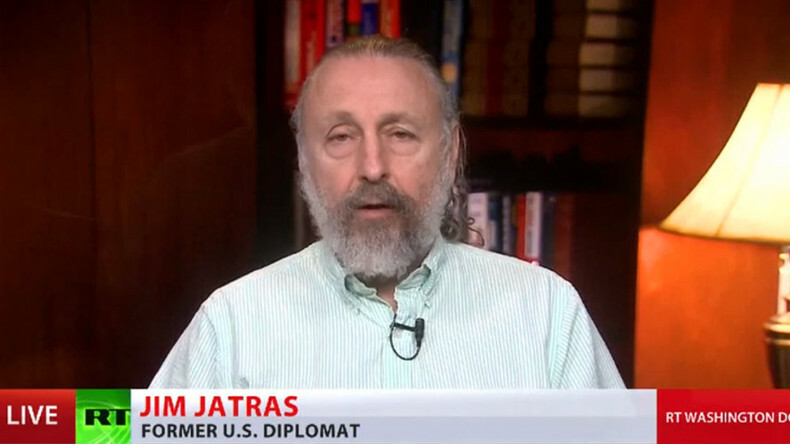 And they get paid for their participation in these programs and they are probably looking at the other side of the ledger to say we need to stay on good terms with the people who make the policy, make the laws, call the shots, and show that we are in sync with this game about this Russian interference,” Jim Jatras, another former US diplomat, told RT. “It is not even so much RT but what does this say about what the American government, the American agencies and now these social media companies are willing to do to compromise information coming to the American people?” he asked. 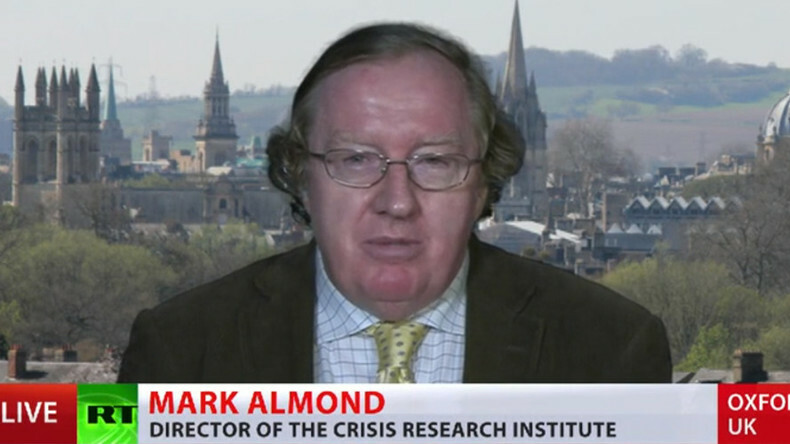 Mark Almond, director of the Crisis Research Institute at Oxford meanwhile said Twitter made their decision out of fear, a choice that will now have consequences for American politicians who, with their pressure on the social media company, have impugned the intellect of the American electorate. “Those politicians in the Congress who have the social media platforms like Twitter and Google and Facebook a little bit in fear of them... are actually also damaging their own political standing because essentially they are saying to the American voter that you’re so gullible and foolish that a tiny amount of money targeted in some way can control your minds and turn your votes,” Almond told RT. 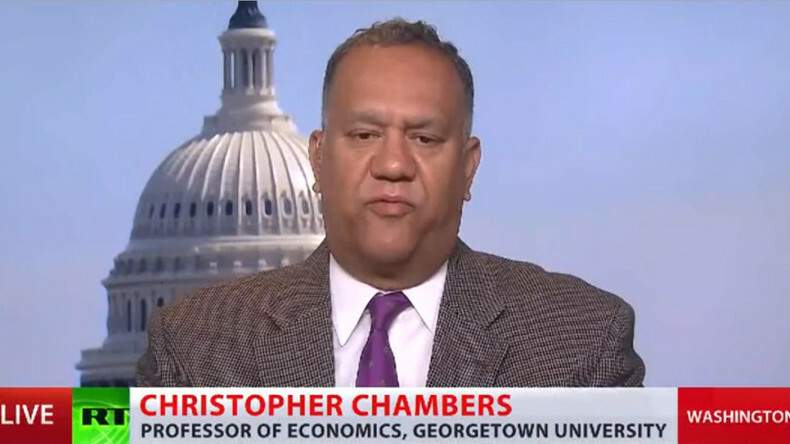 Professor of Journalism at Georgetown University Christopher Chambers told the channel that Twitter was not able to withstand pressure from the American government. “These web platforms have been created by wunderkinds who are not used to this kind of pressure, this kind of governmental scrutiny... and this is threatening their business models,” Chambers noted. The Georgetown University professor stressed that by blacklisting RT, Twitter has jeopardized the image of American media outlets in the rest of the world. 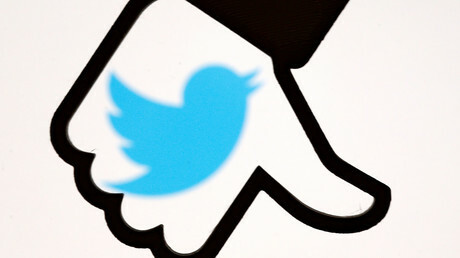 Russia, for instance, already said that it would retaliate against Twitter’s decision. “By taking this preemptive, unprecedented step they have now sent a message out to other media outlets in the United States... and have now exposed those same American outlets to a negative treatment in other nations,” Chambers said. Furthermore, as RT’s experts have pointed out, the ban came into effect just as the American public started questioning the controversial dossier – which was recently revealed to have been paid for by the Democratic Party to accuse Donald Trump’s administration of alleged collusion with Moscow. “This is a deliberate move to get everybody off what is happening right now to the Hillary Clinton FBI investigation and move it back to what everybody loves – RT and Russia,” media analyst Lionel told RT. Twitter played to the tune of the massive anti-Russian hysteria in the US to divert the American public from “thinking,” Lionel believes. “That is a great move for the freedom of speech. Way to go, Twitter! It is disgusting,” said Lionel, joining the consensus of RT interviewees saying that Twitter’s move was just a link in a “coordinated attack” against Russian media outlets. “It is a coordinated attack on Russian outlets, this is a coordinated attack on the freedom of speech and on the media, and it is a coordinated attack on the right of the American people to get independent sources of information and to make their own critical comparison,” Jatras noted.